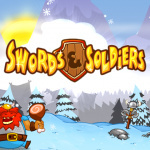 After the original version established itself among the top-tier of WiiWare games, Wii U owners may be pleased to hear that Swords & Soldiers HD is due very soon — it'll arrive on the eShop in North America and Europe on 22nd May at a budget price of $2.99 / €2.99 / £2.69. The classic Swords & Soldiers experience. Playable with custom touch scheme on GamePad. Playable with Wii remote on TV. Multiplayer mode combining GamePad and TV. High res HD graphics compared to SD Wii release. 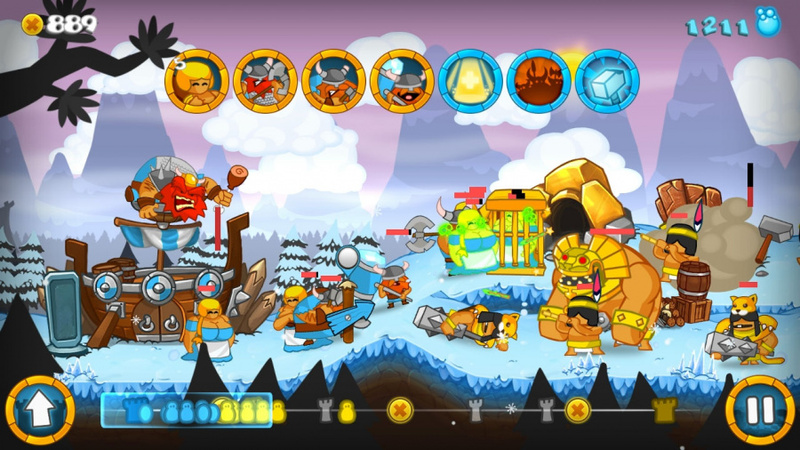 We've been playing this one a bit already, and had positive impressions to share in our Swords & Soldiers HD preview. Are you a fan of the original, and are you tempted to dive in with this updated version on Wii U? Let us know. I think i will get it at that price. Partly cuz it looks decent and partly to support two tribes! Since I have 3.60 in my Eshop balance and I haven't found anything yet. I will look into this. Awesome, that price makes it a no-brainer. I'd have paid double that for this great game. Still, I'm not complaining!! Yep, I will get this too, good price, and I've never played the first one. I've been sorta on the fence for a while. That price seals the deal though. I don't need it either or even want it but chances are I will buy it at that price. Any chance of a discount for those that own it on WiiWare - a la Nintendo Virtual Console deals? $2.99????? I would have payed 10 bucks. I got at least 50+ hours of playtime invested on the Wii version. It was the 2nd best downloadable game on Wii after My Life as a King, in my opinion. @AcridSkull They already said no on twitter. Awesome game, awesome price, awesome! Excellent! Please don't screw it up like the 3ds version! Wow that is crazy. I would of paid triple the price for it but get it weeks/months later. This have just got bump up to my instant Thursday buy. Wow,count me in. That is an amazing price! @Emblem nope, that was way to difficult to implement since the code was based on our iPad version, that obviously didn't have any non-touch/pointer based controls. For once i cant complain abut the ridiculous eShop pricing as this game it total quality aswell has alot of life in it, thats a real bargain at that price i reckon its true value is at least double that. OTOH maybe they'll throw it in for 99c if you buy 2 when it comes out? Guess it all depends on my mood Thursday. Oh and a big kudos to Nintendos eShop on the Wii U. It actually had a Target ad for the $99 2DS (clickable would have been nice but still) and an ad for upcoming games this Thursday, think it was Scram Kitty. Good to see them trying new things. @Emblem I too would like pro controller support. Or at least the option to use the actual buttons on the gamepad. I never played the series. It looks really cool and at that price, it seems like a good time to try it. Scram Kitty this week followed by S&S HD the following week, and then finally Mario Kart 8 and Pikmin 3/Windwaker. Tooooo many games and not enough time. Ooh, Wii controls, HD, AND ultimate BBQ sauce? Must buy! @Reuf Okay thanks for the answer , i'll be picking this up for sure anyway. Me and my brother would play the crap out of the sd one for wii. At that price I'll gladly jump in again. Definitely getting it at that price. I would have paid a lot more for it, so I consider that price point a nice bonus. I just checked at the 3ds version price of this game is $7.99 and the wiiu version is $2.99 wow. Well now i now which version im getting and that is the wiiu version cause its cheap and it looks great. @Reuf Woohoo! Sold! Can't wait!